where excellence in patient care is always our highest priority. Our surgeon and staff continually strive to improve our practice and patient outcomes by using the latest research-based medical advances and information. The utilization of these innovative and minimally invasive techniques enable us to quickly get you on the road to recovery. 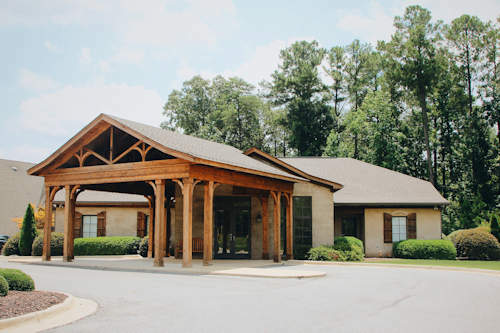 The professional and well-trained staff at Tuscaloosa Surgical Associates is dedicated to providing quality medical care delivered with compassion, timeliness, and expertise, with the goal that your entire experience is pleasant, safe, efficient, and improves your daily quality of life. To provide the highest quality surgical care, with an emphasis on the most current and effective surgical treatments in a caring and professional environment. Tuscaloosa Surgical Associates is proud of our commitment to the people of West Alabama. Simply stated, our promise to provide the very finest in surgical care is our trademark. Dedicated to providing the best care possible to all patients. Committed to using the latest, up-to-date surgical procedures and proven techniques to help your recovery be complication-free and prompt. Devoted to seeking underlying causes for surgical conditions and exploring possible non-surgical treatments. A group of medical professionals whose primary directive is to deliver the highest level of care – both before and after your surgery, and make certain your experience results in a better quality of life for you. Dr. Pridgen has been actively researching the causes of IBS, fibromyalgia (FM), and chronic fatigue syndrome (CFS) for 16 years. This successful research has not only elucidated a major cause of these debilitating diseases, but also uncovered a very effective new treatment that reverses most of the symptoms of fibromyalgia, IBS, and CFS. He is the CEO and founder of Innovative Med Concepts, a startup biotech company, whose drug IMC-1 was featured in the PRID201 Phase 2 Randomized Double Blinded Proof of Concept Trial. IMC-1 was not only very effective at reducing the pain and symptoms of FM, but also, was very well tolerated and had fewer side effects than even the placebo. Learn more about this research at www.innovativemedconcepts.com.